Disclaimer: I was provided with free product and a gift card to Whole Foods in exchange for this blog post. As always, all opinions are my own and I think this is a great deal worth sharing- thanks for your support! Good morning! Today I wanted to share a little information about a terrific sale coming up this weekend, August 14th-16th at all Whole Foods store locations. 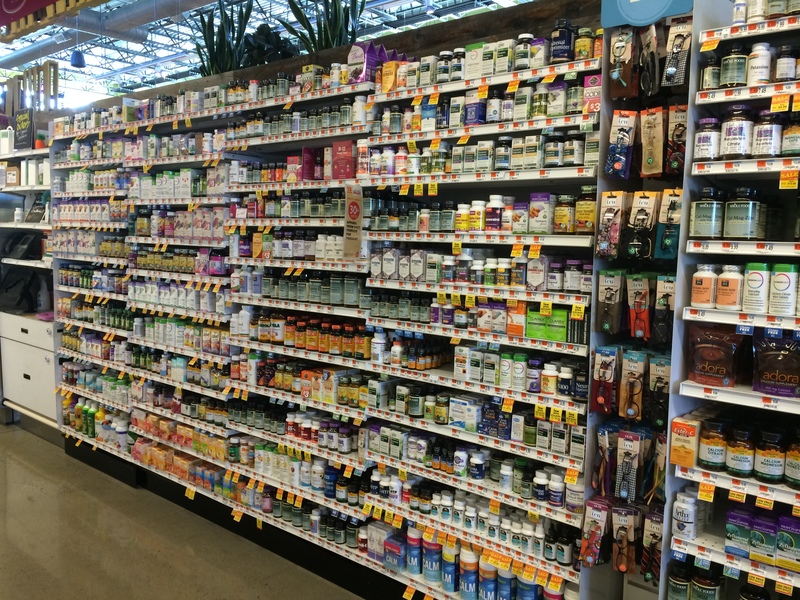 Along with tax-free weekend in Massachusetts, Whole Foods is doing their yearly sale on all supplements in their Whole Body department- 25% off, which is a really great deal since many of the supplements in the Whole Body section can be a bit pricy. Briana, who works in the Whole Body department, decided that a women’s daily vitamin, vitamin D and Maxi-Hair (vitamin B) were a good place to start. The Mega Food Women’s One Daily is an all natural vitamin that’s made in New Hampshire and with all real ingredients. She gave me a vitamin D pill, too, since she said people in Massachusetts tend to have vitamin D deficiencies based on the way the sun is. I think I’ll use that more once summer is over, though. Lastly, Maxi-Hair is loaded with vitamin B which is good for hair, nails and skin. 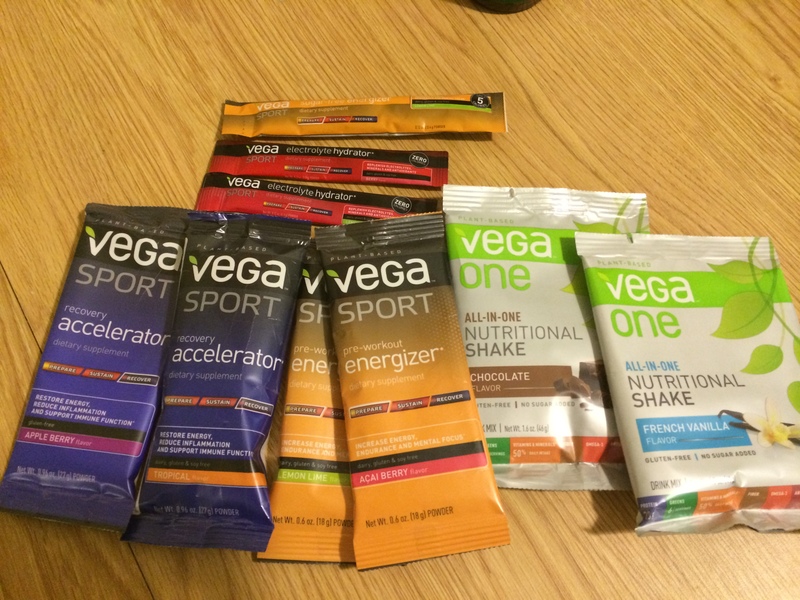 As far as workout related supplements, she loaded me up with lots of Vega products- pre and post workout supplements as well as some mixes to drink during long workouts. I use the recovery accelerator powder after my workouts but was new to the pre-workout energizer. I tried it last week, but didn’t notice anything significant… I also didn’t finish drinking it before my workout so maybe that’s part of it. 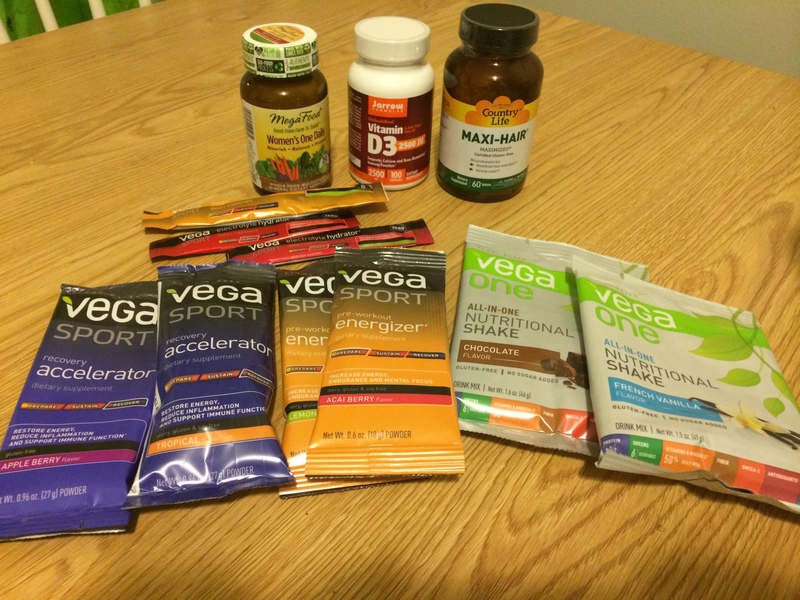 All in all, I’m happy with the products I received and hoping to get to a Whole Foods this weekend to finally buy a big canister of Vega recovery accelerator since I tend to spend so much on the individual small packets. If you’re around this weekend and in the market for new supplements, be sure to head on over to your local Whole Foods to take advantage of their sale! 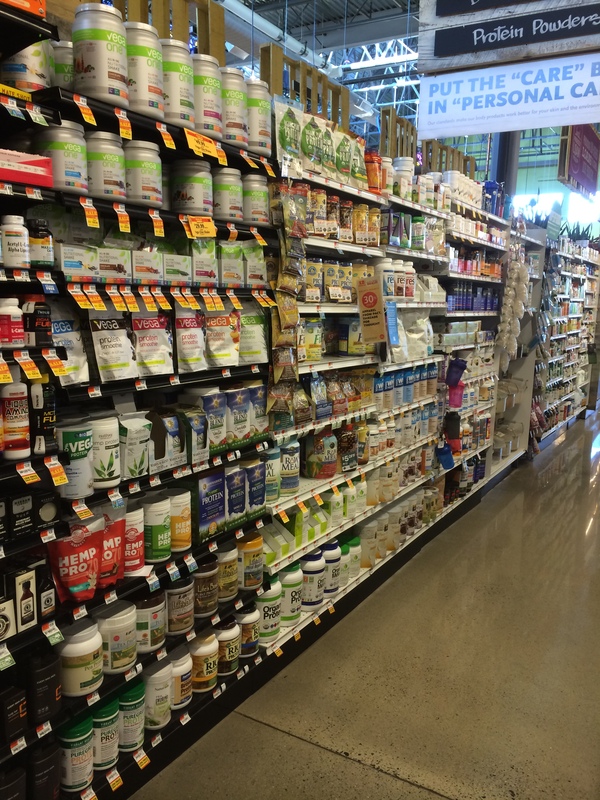 Some examples of items on sale include probiotics, fish oil, multivitamins, all of the Navitas Naturals superfoods products, workout supplements, protein powders and more! Questions for you: Do you take vitamins regularly? Do you use protein powder after your workouts or to cook with? Do you drink anything during your workouts to help you stay hydrated? That might be a good idea! That feeling alone would make me not want to workout in the morning. Let me know if you try the pre-workout energizer and if it works! 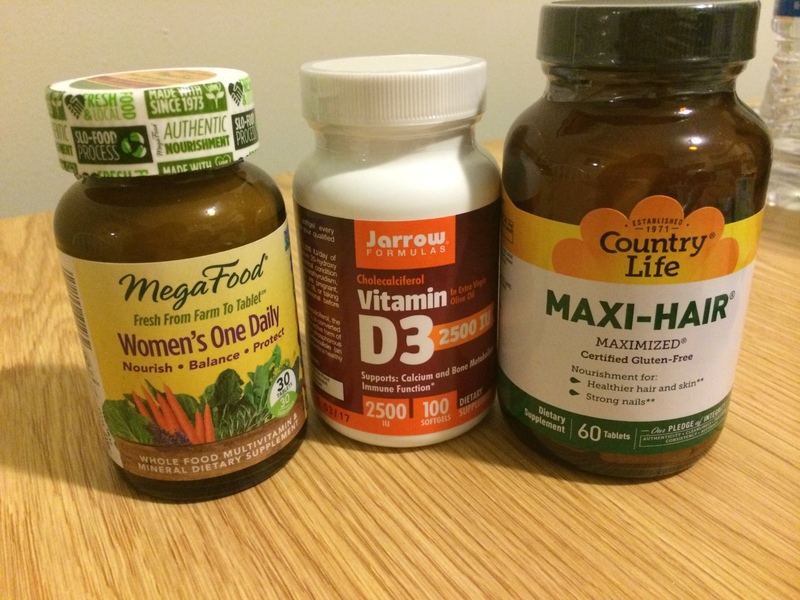 I take a multivitamin as well as additional Vitamin D, Calcium, and Magnesium. My doc recommended the Calcium and Magnesium to decrease migraines and they seem to help. She also had me started taking D because I tested low. I definitely use protein powder a lot! I have a notorious sweet tooth and it helps me come up with yummy desert-y concoctions.